Thursday, March 10, 2016, Women’s Watch, WBZ-AM in Boston, MA. With the explosive connectivity that the internet has delivered, the possibilities for new, more flexible ways to offer value and earn money are ever increasing. The development of micro businesses is therefore a very real possibility as a career option for many. In Venture Mom: From Idea to Income in Just 12 Weeks , Holly Hurd offers a 12 week programme for how anyone, and in particular mothers, can develop their own venture. Venture Mom is so easy to read. It’s filled with tips and success stories that almost all women can relate to. And Hurd provides advice for what she calls “self-starting” moms, whether they want to earn a few extra dollars or build a scalable business. The book takes you step-by-step, week-by-week into the world of startup. For less than 20 bucks, you’re essentially getting a crash course in entrepreneurship. Definitely worth reading. If you are a stay at home mom who is thinking about starting a home based business and you are looking for some good basic advice, you should find this book helpful. 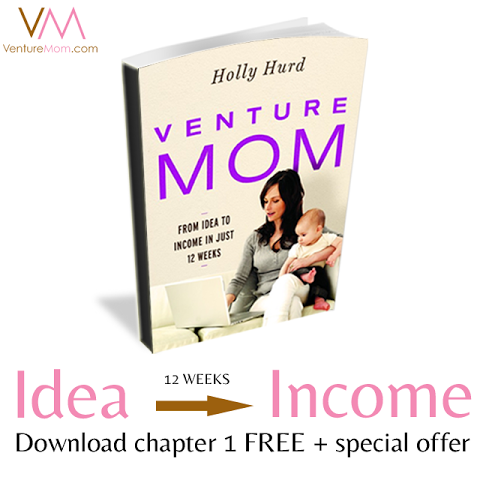 Holly Hurd, author of Venture Mom, has written a basic guide that will take you from idea to income in a relatively short period of time. This book is specifically targeted at women who are looking to start a relatively small business. That is not to say that your business could not grow into a substantial one, but this is not intended as a guide for larger, more sophisticated businesses. The promise of the book is to go from idea to income in 12 weeks. So the structure of the book is outlining what to do on a week by week basis. There is some very basic but sound advice. Get clear on what you want to do. Do your research. Develop your brand. Find a way to market your product/service. Along with the detail instructions, Ms. Hurd gives plenty of real world examples of other women who have started very successful businesses. If you are not sure what you want to do, Ms. Hurd discusses many potential opportunities open to women (and men). You can draw inspiration from the many success stories she shares. At the conclusion of each story is a short “takeaway” or summary of the lesson you should learn about what to do and what not to do. This is a quick and easy read. There are actually more examples/stories than step by step instructions. But the examples are valuable in showing how the concepts actually work in the real world. Use this book to get you started on the right foot. People have so many great ideas and I want to show them how easy it is to take their idea or talent and turn it into a paying business venture. My eyes often glaze over when I hear complicated plans for starting a business and I’m sure many feel the same way. I’ve distilled the process into 12 no-nonsense steps that can be done in 12 weeks or less. Each of my chapters could take an entire book to cover. I’ve worked to keep the process simple so that by the end of the 12th week, the reader gets their first paycheck. I’m a big believer in learning from others and to that end, I’ve interviewed over 200 women for my website and learned so much that I wanted to share. Many of these stories are in the book. By reading what others have done to build a successful business, you learn how to translate those ideas for your own use. “Venture Mom: From Idea to Income in Just 12 Weeks” is a guide to hacking the business owner for the mom who has a profitable talent or skill, but hasn’t unleashed her full potential yet. The book guides prospective “mompreneurs” through the a 12-week program designed to help them plan and market a small business that is centered around their unique abilities, schedule, and personal interests. Venturemom.com is featured as a top pick in @NYMetroParents incredible (and free!) 125 Summer Ideas fr Family Fun. “As we begin to find our footing as moms, we develop some unexpected skills. Maybe we bake the most delicious brownies, throw incredibly elaborate birthday parties or sew beautiful dresses. But how do we make a “venture” out of our new creative talents? Kim Genzburg of New Canaan became inspired by her sports-loving kids who left a barrage of equipment and cleats in their wake. “Stuff is everywhere,” she says, laughing, explaining the “ah-hah” moment when she designed a unique rack to contain balls, bats and racquets. But she wasn’t sure how to proceed. She turned to Venture Mom, a new platform for women in transition, which aims to offer direction, inspiration and resources…. Read more and watch the Fox News feature here. “As a mom, I love Mother’s Day – the one day that it’s all about me! As a daughter…well, that’s a little more difficult. Every year, I have the worst time trying to find the perfect gift for my mother – or as I prefer to call her, “The woman who has everything and is super-picky about those things that she doesn’t have.” See my dilemma? Read more on the Fairfieldista. Download podcast or listen here on the Westport Library website. “Today, we got the chance to speak with a mom entrepreneur, Holly Hurd – Founder of VentureMom.com. Holly has built a successful online business by highlighting a different Venture Mom on her site and giving people an opportunity to learn about them and their products and drive traffic. She has now created an additional feature and platform for women to be able to sell, advertise and grow their business on her website. Learn more about Holly and what she has created. What was your motivation to work from home or start your business? I’ve always worked for myself and I met these fabulous women who had started their own businesses too. I first started to write a book to share their stories and then figured out that through the web I could share faster. So I started VentureMom.com and began to cover a new mom each week. Read entire interview here on Freelance Mom. Read more on Buy Locally CT.
“Tell us about your business and why you started up. Every mom I talked with had an idea that they wanted to turn into a business. At the same time, I was meeting so many interesting moms who already had profitable ventures. I saw an opportunity to connect the two groups. I like to write about the path of creating a business venture through each story so readers can see the progression of the mom’s business. I started a weekly newsletter to share with my followers. Click here to read more in the MommyPerks. It’s a bird, it’s a plane, it’s a venturemom! Click here to read more in the Darien News. When a serial entrepreneur and mother of three sets out to write a book on starting businesses, there’s no telling what may happen. But in this case, what happened is called VentureMom. To call a mother an entrepreneur is redundant. For all the guidebooks and self-help books, for all the collected wisdom passed down over the generations, every child is different, and in the end there really is no guidebook. If raising a child doesn’t require a bit of that ol’ entrepreneurial spirit, I don’t know what does. Click here to view article on portfolio.com where you can share with others. My advice is to compartmentalize. You’ll be happier and so will your kids and family. When you schedule time for work, be at work. Keep all distractions to a minimum. So that means, have a babysitter or work while you’re kids are in school. If you work at home, don’t do the laundry, empty the dishwasher or make the beds. That time should be scheduled as well so that when you sit down at your desk your are focused on only work. Click here to view article on iaweo.com where you can share with others. “For Holly Hurd, 2012 means inspiring more moms to venture out. Last time Hurd spoke with It’s Relevant, she had close to 70 featured VentureMoms on her site VentureMom.com, telling the success stories of women from Connecticut and across the country. Now with 3,000 followers. Click here to view article on ItsRelevant.com where you can share with others. “…What are the most important things (maximum 3) that entrepreneurs should remember when starting a new venture? Click here to read the complete article including the feature response on Hearpreneur.com. We are most thankful for the great stories that we’re able to cover and share on our site. The downswing in the economy has led inventive moms to create their own ventures and build profitable businesses. I’m so thankful to be able to learn about a multitude of business ventures from all over the country, in all sizes, and in all specific areas from food ideas, to creative clothing, to home ventures, to ventures with animals, to service businesses. And to be able to provide motivation for others by sharing these women’s successful venture stories is what makes me so happy. So thanks to all the moms who have either fallen into a venture by accident or set out to create an entrepreneurial vocation that gives them fulfillment and then sharing them with the world through our website. Click here to view full article on Dr. Shannon Reece’s Blog. We believe the single best asset that powerful women have is the ability to communicate effectively for a positive outcome. Even when the message is not good, women know how to frame bad news between a compliment and a thank-you. Further, when powerful women are delivering good news, they can communicate the enormous part the person played in the making the good news happen. Many women garner this skill when raising children. Overall, women can read their audience and use their communication skills to their advantage in all situations. Can you tell me about your background and experience in business and how Venture Mom came to be? Why specifically moms? Click here to view full article on mommypage.com. A mother of three, with two daughters in high school, and a son who has started his first year in college, Holly Hurd also finds the time to be an entrepreneur as the owner and creator of VentureMom.com. Since the site launched a year and a half ago, it has been providing guidance for moms all across the country and the world on how to start their own businesses with tips and advice from Hurd, and a little help from the Internet. I’d meet these women,” said Hurd, and hear these amazing stories of ideas they had and think, you can make a business out of this. Click here to view full article on itsrelevant.com. Holly Hurd, a real estate agent with Kelly Associates in Darien, is the founder of Venture Mom.com. Holly Hurd is, in her own words, a serial entrepreneur. She’s the kind of woman who keeps a stack of well-read motivational books on her bedside table. I even started writing a motivational book to keep myself motivated,she says. Holly has worked for a hedge fund, deigned coffee table and is now a busy real estate agent in Darien. She’s also the brains behind a new business, VentureMom.com. VentureMom is an online networking site that connects women who have started their own businesses. The site provides a directory, tips, a newsletter and a blog aimed to help women turn their dreams into a business. And Holly spotlights her moms by telling their stories so that other women will be inspired to pursue their own dreams. I cover women who have created something unique on their own, she says. A recent story features Sheryl Myrhe, who fell in love with tea on a trip to Europe. She did her research, wrote a business plan and now runs an online business selling specialty teas. Then there is the mom who began after-school art classes so that she could take her own kids to work with her. And the two friends who set up a website where people could get rid of surplus belongings responsibly. Women often tell me they want to do something but they don’t know what,says Holly. I tell them to come up with six things they can do in six days. Her encouragement gets women thinking creatively. If someone likes to cook, they could think about offering to cook meals for other moms who don’t enjoy or have the time to make home-cooked meals, Holly says. Or start a dog-walking business. Holly herself is a good example of a mom who has reinvented herself. A Darien mom with three busy teenagers, Holly she began selling real estate with Kelly Associates 11 years ago. I love houses, she says. What she especially likes is seeing the diamond in the rough. I’m a frustrated interior designer!â€ she adds. Holly always recommends that sellers dovecote their houses before putting them up for sale. Paint, change the light fixtures, update the millwork and stage your home. Darien, CT Do you dream of starting your own business? For most stay-at-home moms, their former careers seem like a lifetime ago. However, the internet has shown a whole generation of women that starting a new venture or business is a real possibility. 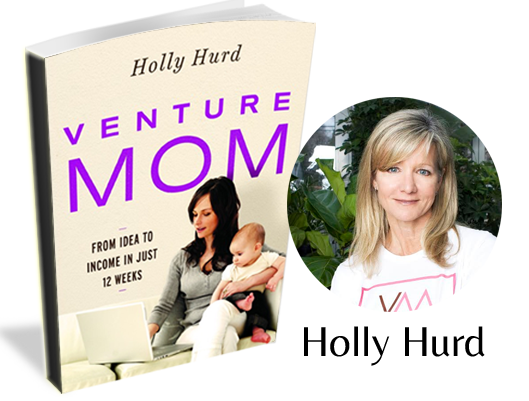 Local mom, Holly Hurd, an entrepreneur par excellence, has recently launched a website and blog, www.venturemom.com. Her site is the A-Z on what to do to make your dream of creating your own business a reality. Everything from how to name your business to how to get your venture off to a great start. She says the idea came about after she realized she had many mom friends who wanted to start a venture and find fulfillment outside of family and motherhood. Lots of moms currently work but are looking for a change that allows them more freedom, and the opportunity to be their own boss. With that in mind, Hurd set out to find a way to link moms together, and offer practical advice to those seeking to start a business, or to take an existing venture to a new level. Her website through a free e-letter, features a different VentureMom each week, and also offers an opportunity to read about other moms and their successful stories. Hurd has interviewed scores of women, and wants to share their ideas with others so that they can have the tools to take that first step. â€œWhat I love most about what I do, is the opportunity to empower women and show them how a hobby or a passion for something can actually evolve into a successful business. Tips such as don’t wait until it’s perfect, just start is the site’s mantra, and the calling card for VentureMom, a mother of three kids, 13, 15, and 17, who has always loved the entrepreneurial side of business. She has had a number of her own ventures over her lifetime. Her passion is starting new things, and this site is her latest. 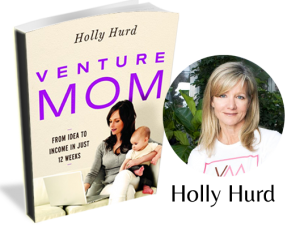 Holly Hurd is a resource for other entrepreneurial moms. Photo Credit: Courtesy of Holly Hurd. Holly Hurd got an early start in the world of business, learning how to trade commodities and futures from her father when she was 12. Starting her own businesses, working in real estate, public speaking and acting followed. Now the Darien resident is helping women start and run their own businesses through Venture Mom. The project started when Hurd set out to write a motivational book about moms running their own businesses. Eventually she decided it would be more effective to have a website where she could highlight women who successfully run their own businesses. She also offers advice on how to get started, market and move forward. Hurd says one woman told her she got her first client for after being featured on the site. The sites success stories range from a woman who makes $160,000 a year selling things on eBay to a mom who created an app that prevents teens from using their phone while driving, to a woman who started selling gluten-free cookies at the farmer’s market and ended up selling her product at Whole Foods. “A venture should be something you are enthusiastic about, something you love, that you have a passion for. Do what you love and the money will follow,” Hurd said. Moving forward, Hurd wants to expand the site so she can continue to share stories and knowledge with other moms, as well as speak at events and to women’s groups. She will also be writing a series of articles for The Daily Darien on Thursdays, outlining the 12 most important steps for starting your own venture. 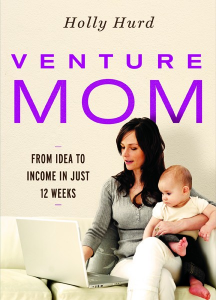 Have you checked out Venture Mom? Would you be interested in starting your own business? Leave a comment below, on Facebook or Twitter.